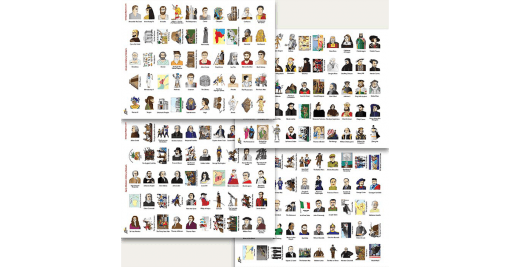 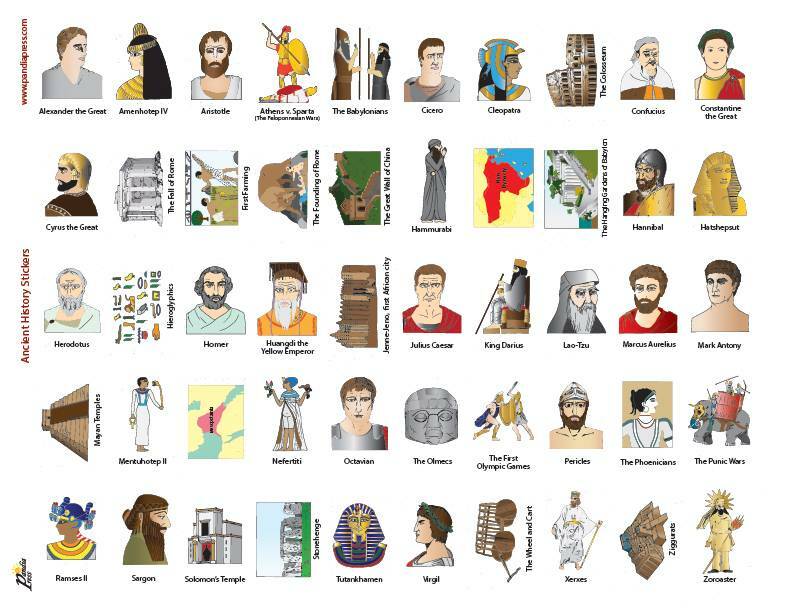 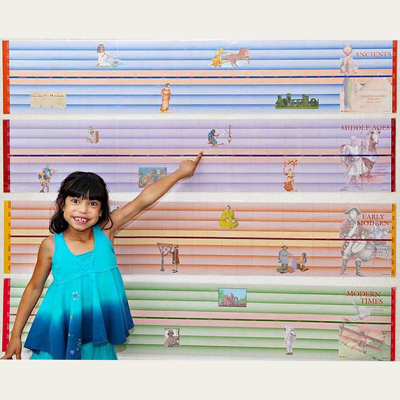 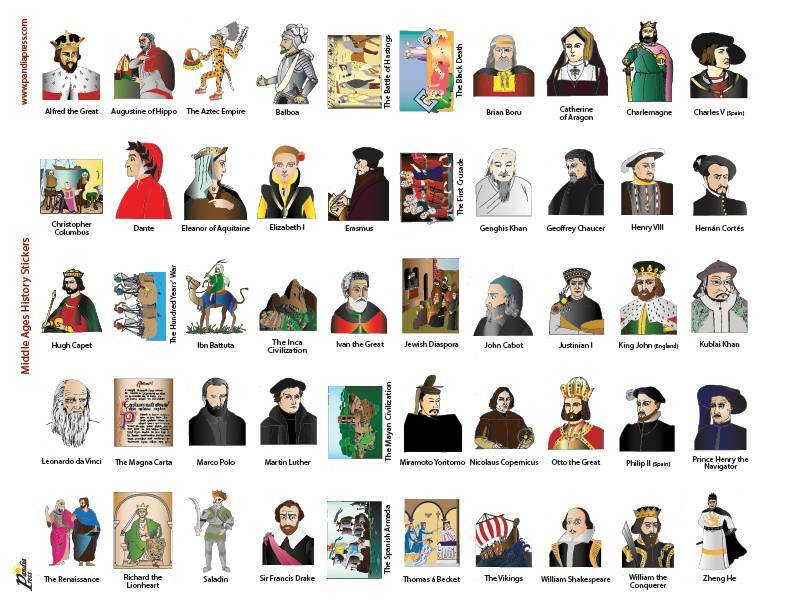 200 colorful stickers depicting beautifully detailed sketches of historical events and people from 6000 BCE to Present Day. 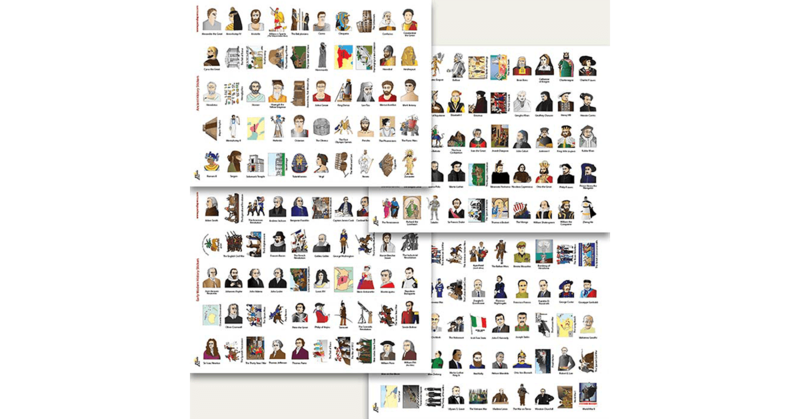 There are 50 stickers for each time period. 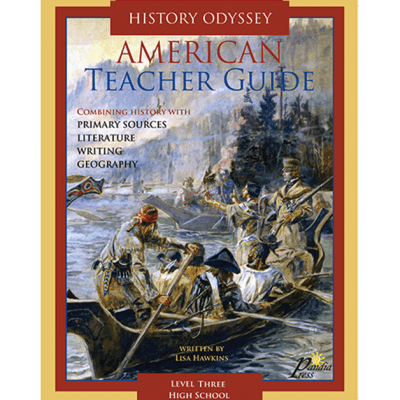 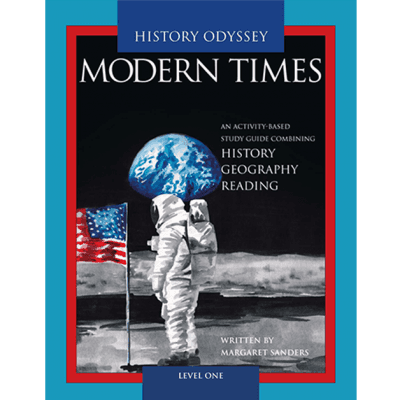 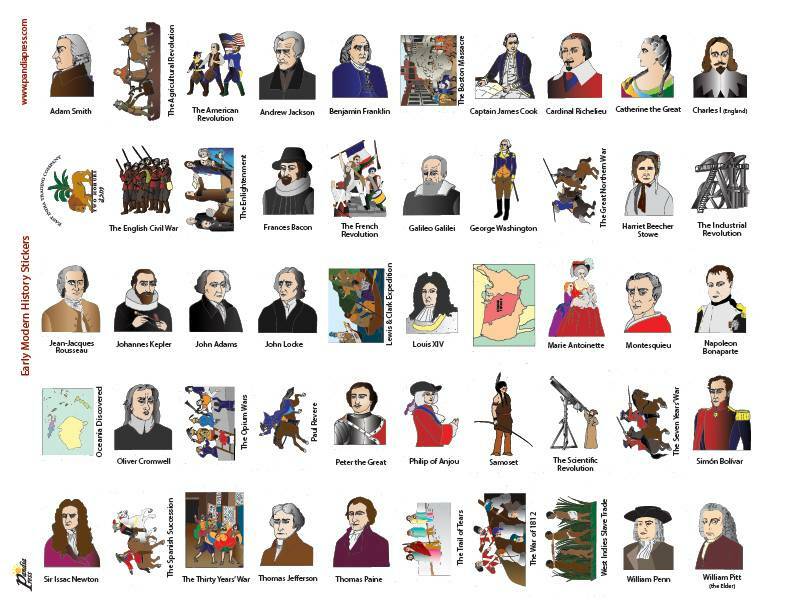 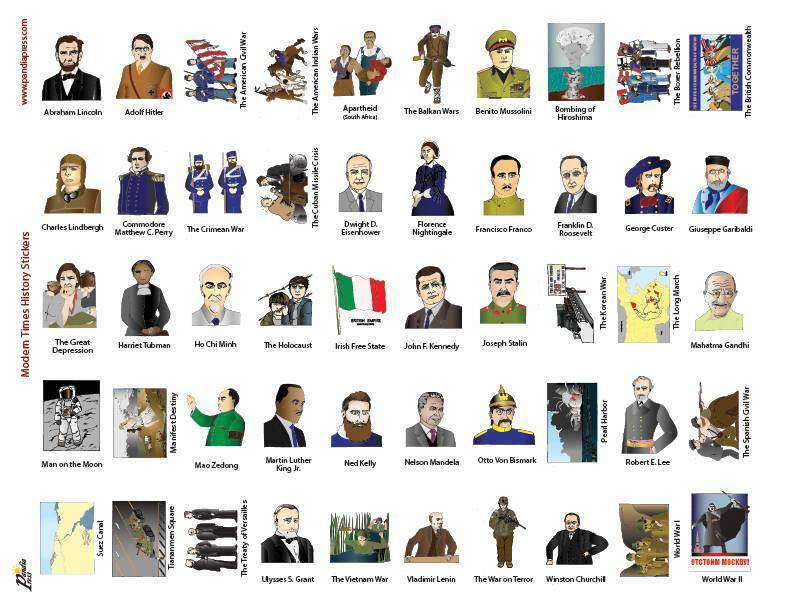 Use with the History Odyssey Timeline, History Odyssey courses, or with any history product or course.